What do I have to bring along to my casting session? 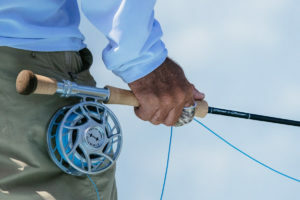 What if I do not have my own fly-fishing equipment? Not a problem. I can supply a loan outfit for novices without equipment. Just let me know prior to your session. Preferably we will have the sessions on grass and not on water. There are multiple reasons for this, among them being that I adjust the distances of the targets to your current abilities, we can easily adjust the setup to accommodate and utilise any wind, we can walk out to check that your leader turns over properly and I can walk around you to view your casting from all angles. Any conveniently located park or sports field with short grass will suffice. Will there be any “homework”? There is nothing that you need to prepare ahead of your initial session. I may however identify things that you need to practice before we can move towards more advanced casting techniques. You will have to practice this before your next session as the different casts builds on each other and this “homework” will fast track your advancement.